First script reading for upcoming MBC drama series “Lookout,” starring Kim Young-Kwang & Lee Si-Young, took place March 29, 2017 at MBC Broadcasting Station in Sangam, South Korea. 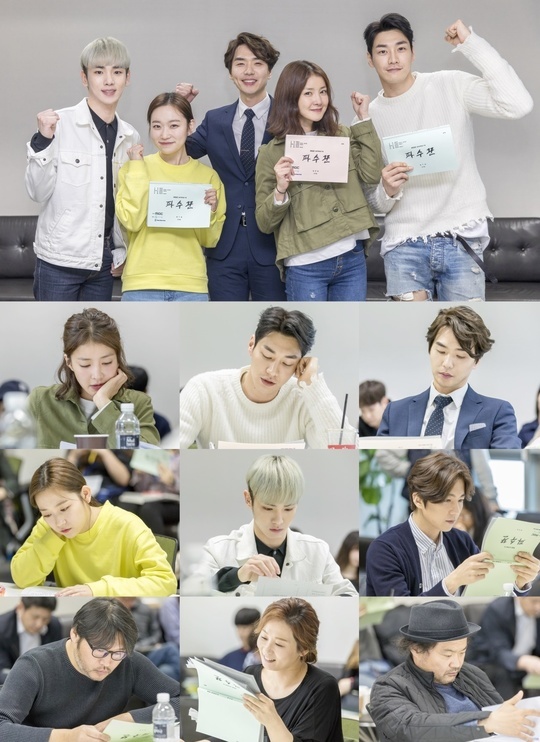 At the first script reading, main cast members including Kim Young-Kwang, Lee Si-Young, Kim Tae-Hoon, Kim Seul-Gi, Key (SHINee), Choi Moo-Sung, Kim Sang-Ho, Kim Sun-Young and Shin Dong-Wook all attended. During the first script reading, Kim Young-Kwang read the lines of Public Prosecutor Jang Do-Han. He falls into an unjust situation and becomes a monster for revenge. Lee Si-Young read the lines of Jo Soo-Ji. She is an ex-detective and lost her daughter to a crime. The perpetrator is able to avoid punishment, which causes her to join “Lookout” to punish the perpetrator.